Our brand new Dual Density Grip features a harder Durometer on the top portion of the grip for control and a softer Durometer on the body of the grip for feel. Available in a black and dark blue color scheme, this buffed style grip is the perfect match for our FC-ONE family of products. Quantity discounts available for quantities of 50 and 200 units. 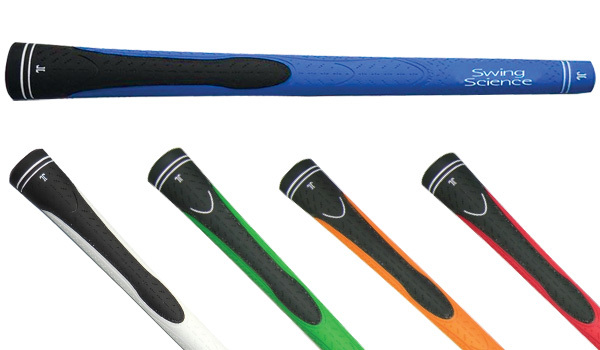 Don’t overpay for grips, use Swing Science branded products for the best value in golf!